NSUndoManager is a powerful API, but it is geared towards Objective-C code and relies on runtime features. This post demonstrates a simpler alternative that is better suitable for idiomatic Swift code. The second approach can be a lot simpler. It can be implemented generically, since there is no need to generate a counteraction for each action. The approach also works naturally with code that uses Swift value types. Let’s dive right into an example implementation. 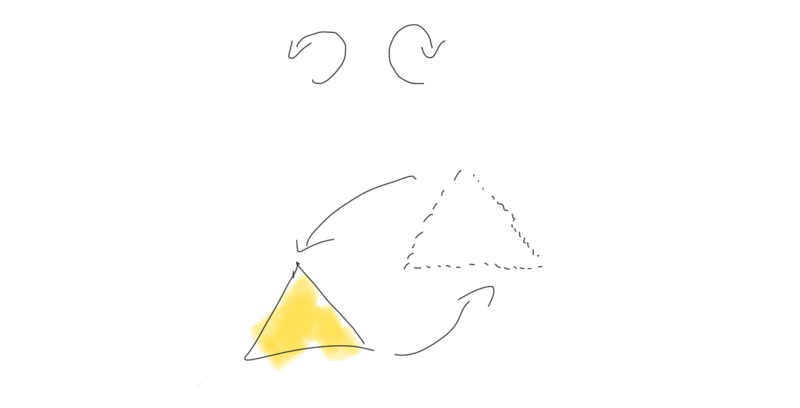 Let’s assume we want to implement undo/redo for annotations that are drawn onto a canvas. We’re going to use the undo/redo approach in which we keep track of previous and current state for all annotations. At the end of the post you’ll find a link to the full implementation. In the next few paragraphs I will outline the most important aspects. We also have a state container that stores all the annotations that are currently on the canvas. Since this feature was implemented at PlanGrid where we use Flux, we will also use a Flux store for this example. Besides storing all annotations, the store also has a reference to a database instance. The store keeps track of the in-memory state of all annotations on the canvas and it ensures that all changes are written to the database as well. To allow annotation changes, the store provides an interface for saving/deleting annotation (we’ll get to the isUndoRedo argument in a moment). Lastly, the store keeps track of a stack of undo and redo steps. /// Converts and undo step into a redo step and vice-versa. // as part of undo/redo. // Reset redo stack after each user action that is not an undo/redo. The deletion counterpart of this method is extremly similar, so I won’t discuss it here. Now that we keep track of all changes, we can implement the undo/redo feature. The code here is very simple. We fetch the latest undo/redo action from the stack. We perform the change recorded in that step in a separate method that is shared between undo and redo. Then we append the inverted version of the change to the opposite stack (e.g. an undo action is flipped and placed on the redo stack). The core of the undo/redo mechanism lives in the perform(undoRedoStep:) method. // implements the transition between these values. // we can undo by updating annotation with old value. // by creating an annotation. // on your DB interface these might be separate methods. // by deleting an annotation. The method above does this elegantly by leveraging Swift pattern matching. print(store.annotations) // prints one annotation in "red"
That’s all there is. By leveraging Swift’s value types we can keep track of multiple versions of an entity. We can then implement undo/redo as switching between entity states. This has the advantage that we don’t need to generate counteractions for all user actions. I’m assuming in future we will see more alternatives to Cocoa APIs that are simpler and more suitable for Swift. You can find a Playground with a fully working example here.